Big data are found in all segments of society. Even the Dutch higher education sector is increasingly recognising the potential for the vast volumes of data that it has at its disposal. The Dutch research and education network SURF believes in the potential for learning analytics, and works closely together with Dutch higher education institutions to derive maximum benefit from the power of their data. What opportunities does learning analytics offer? And what challenges are the early adopters facing? Are there any runners out there who still do not track their performance with an app? Is anyone still shocked by their electricity bill now that there is a smart meter that shows real-time household energy consumption? Insight is the buzzword in the data revolution. People who have insight into their behaviour will be able to work more efficiently from now on. This equally applies to organisations, higher education institutions and nations. The digital revolution has brought about a tremendous increase in the volume of data and it is comparatively easy to access. It would seem to be a lost opportunity to ignore such data. Just as all sectors in which ICT is used regularly, in the higher education sector too data are there for the taking, so to speak. From the moment students browse the higher education institution’s website for information until the moment they are registered as alumni, they leave a digital footprint. Student information systems, the online learning environment and the library, but even items such as students’ wearables, generate a wealth of potentially interesting data. If you connect all systems to each other, you will gain insight into students’ learning behaviour, the quality of teaching and the institution’s effectiveness. Greater insight translates into better education for students. It obviously is not so easy to gather, analyse and report data from learning environments as suggested here. There are educational, ethical, legal and technical challenges which need more clarification. 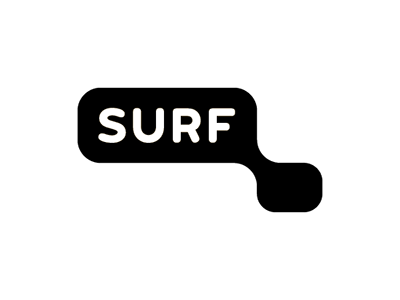 Even so SURF believes in the potential for learning analytics, the umbrella term for processing study data to understand and improve learning behaviour. The scale of education stands in stark contrast to the call for customised education. The members of SURF aim to offer an environment in which they can provide students the most effective and preferably the most personalised programme possible. SURF believes that learning analytics has vast potential to help improve the quality of education. Whether it is the key to customised education, time will tell, but there is sufficient reason to experiment. In the longer term it is essential to obtain greater clarity on the didactical possibilities, the technical challenges and the ethical and legal boundaries. SURF has an important role to play in sharing knowledge and defining the technical preconditions. The higher education institutions need to sit down together with SURF to determine the ground rules. They should not let any of the above aspects deter them from setting up pilots meanwhile, or from introducing top-down learning analytics at their institution and sharing these experiences with the Learning Analytics Special Interest Group. Added value can be derived not only for the organisation, but especially for students and lecturers. If they are convinced of the usefulness of learning analytics, the institutions will derive maximum benefit from the power of their data. SURF has published a whitepaper on learning analytics. The full whitepaper is available here.